Denice D. Denton was appointed by the UC Regents as the ninth chancellor of the University of California, Santa Cruz. She assumed office on February 14, 2005. Dr. Denton also held a UCSC appointment as Professor of Electrical Engineering. As chief executive, Chancellor Denton led a major public research university with a combined undergraduate and graduate enrollment of about 15,000 students engaged in 62 undergraduate majors and a total of 32 master’s, doctoral, and graduate certificate programs. Beginning in 1996, Chancellor Denton was Dean of the College of Engineering and Professor of Electrical Engineering at the University of Washington (UW), the first woman to hold such a position at an NRC-designated Research One university. She held academic appointments at the University of Massachusetts, the Swiss Federal Institute of Technology in Zürich, and the University of Wisconsin–Madison, where she worked from 1987, leaving as professor in the Departments of Electrical & Computer Engineering and Chemistry to become dean at UW. Dr. Denton earned an international reputation for effective advocacy supporting access to science, math, and engineering opportunities for women and minorities. At each of her previous appointments and during her tenure at UW, she established and promoted programs that expanded access to these fields. In May 2004, Denton was among nine scholars honored by the White House with a Presidential Award for Excellence in Science, Mathematics, and Engineering Mentoring, recognizing her role as a major leader in enhancing diversity in science and engineering. Among other numerous awards were the Maria Mitchell Women in Science Award (2006), a prestigious national recognition of exceptional work that advances opportunities in the sciences for women and girls; the IEEE/HP Harriet B. Rigas Award (1995); the ASEE George Westinghouse Award (1995); the W. M. Keck Foundation Engineering Teaching Excellence Award (1994); the Benjamin Smith Reynolds Teaching Award (University of Wisconsin, 1994); the Eta Kappa Nu C. Holmes MacDonald Distinguished Young Electrical Engineer National Teaching Award (1993); the American Society of Engineering Education AT&T Foundation Teaching Award (1991); the Kiekhofer Distinguished Teaching Award (University of Wisconsin, 1990); and the NSF Presidential Young Investigator Award (1987). Dr. Denton was a current member of the President's Committee to select recipients of the National Medal of Science, and the committee to select recipients of the A. T. Waterman Award sponsored by the National Science Foundation. She is a fellow of the American Association for the Advancement of Science, the Association for Women in Science, and the Institute of Electrical and Electronics Engineers. She was a member of the National Science Foundation Engineering Directorate Advisory Committee and a member of the Visiting Committee for the California Institute of Technology Division of Engineering and Applied Science. Formerly, she served as chair of the National Academy of Sciences/National Research Council (NAS/NRC) Board on Engineering Education. Among many other prestigious appointments, she was a member of the NRC Committee on Advanced Materials and Fabrication Methods for Microelectromechanical Systems and of MIT's Advisory Board for Initiatives to Diversify the Professoriate. Chancellor Denton was also a member of the Board of Directors of the Silicon Valley Leadership Group and the Board of Directors of Joint Venture Silicon Valley. 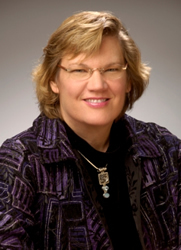 The author of nearly 100 scholarly journal articles, book chapters, and conference papers, Chancellor Denton earned a Ph.D. in Electrical Engineering at the Massachusetts Institute of Technology; her doctoral thesis was titled, “Moisture Transport in Polyimide Films in Integrated Circuits.” MIT also awarded her three other degrees, including a Bachelor of Science degree in Electrical Engineering, the Electrical Engineering degree, and a Master of Science in Electrical Engineering. Her research was in microelectromechanical systems (MEMS) as an enabling technology, particularly in life sciences applications. She also worked in the arena of transformational change in higher education. “A great privilege was bestowed upon the UCSC community when Denice Denton accepted the chancellorship of our university. From the outset, she informed us that her style of leadership was designed to accelerate change. Thus, she urged us to embrace social justice, not simply as a lofty ideal to be accomplished elsewhere and on a grand scale, but rather also as a practical strategy for the local transformation of this university. Chancellor Denton sparked controversy. She refused, for example, to endorse widely accepted explanations for the underrepresentation of Native and African Americans among the students, faculty, and staff. Almost immediately, she announced plans for a far-reaching diversity initiative that would hopefully lead us toward racial, gender, class, and sexual inclusion. I was among those who welcomed her unequivocal approach to practical social justice. But at times it seemed that many of us were too ensconced in the quotidian realities of an institution that seemed to function well on its own terms to prepare for profound change. But then, Chancellor Denton resolved to do whatever was necessary to persuade her community that change would be good for all of us. Indeed, she used her investiture not as an occasion for the usual ritual and ceremony, but rather to initiate a conversation across the campus on the relationship between diversity and excellence. She arrived on the campus with an extraordinary record of leading transformative efforts—at M.I.T. and at the University of Wisconsin, and especially in the School of Engineering at the University of Washington. She had already forged a national reputation as a prominent advocate for women in the sciences—from individual mentoring of graduate students and junior faculty to the leadership of national organizations and campaigns. Everywhere, Denice Denton was embraced as a pioneer and a champion. On this campus, she continued her advocacy for women and people of color in the sciences, taking time to mentor junior faculty despite the swirling controversies and even as she courageously faced unrelenting homophobic attacks.